Resuscitating the boy, who sustained a serious brain injury after nearly drowning four years ago, is ‘not in his best interests’. THE HIGH COURT has ruled that a six-year-old boy with serious brain injuries should not be resuscitated if his condition deteriorates further. The court granted an order sought by an unnamed hospital which had asked that the child not be resuscitated if doing so required invasive treatment, which is medically advised not to be in his best interests. Justice Nicholas Kearns, delivering the ruling this morning, said the boy – known only as SR – was “an energetic and bright child” until his accident, which left him with no prospect of recovery. “The medical evidence is both unanimous and contradicted that re-ventilation would not be in his best interests,” Justice Kearns found. In this case, it was found that re-ventilating the boy - who was 22 months old at the time of his accident, and who has since been taken into the court’s care – would caused unnecessary pain and discomfort, and would be futile in terms of a long-term recovery. The child’s parents had opposed the hospital’s application, with his father saying he had discovered stem cell treatment which could be administered in North America, and which he felt could improve his child’s chances of recovery. Justice Kearns disagreed with this, saying he did not believe that the treatment offered “any real prospect of changing or ameliorating SR’s condition”. Email “High Court rules boy, 6, with brain injury should not be resuscitated”. 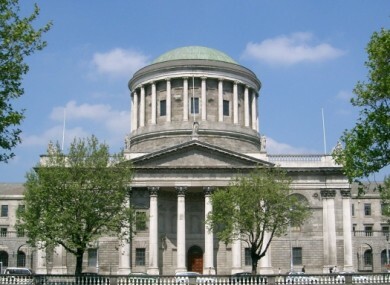 Feedback on “High Court rules boy, 6, with brain injury should not be resuscitated”.